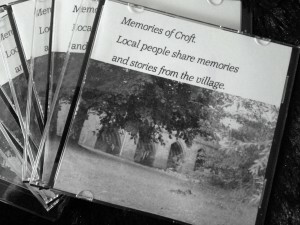 their experiences is much more powerful than reading about it, this is why I create unique digital audio records of people’s memories, personal stories or messages as a permanent keepsake for themselves or to leave as a legacy for future generations. The idea first came to me as I remembered the stories my grandmother used to tell of her own childhood 100 years ago. It made me think how life has changed and that those experiences are what shaped Grandmother’s life and ultimately mine. Sad to think that all these personal memories would be lost I wondered what to do about saving mine.